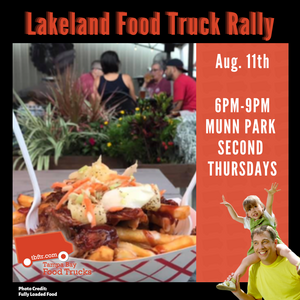 Monthly Food Truck Rally in Munn Park in Downtown Lakeland on the second Thursday of every month. FREE Admission and Dog Friendly! Wondering what trucks will be at the Rally? Lakeland Food Truck Rally from YLakeland on Vimeo.